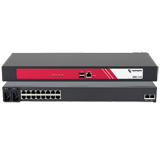 Smart OOB maintains complete control during infrastructure failures and network outages with serial, Ethernet and USB console access to all server, networking, and power infrastructure at remote sites. Proactive analysis for immediate notification of fault conditions with smart alert escalation through SNMP, email and direct SMS. Auto-remediates common problems with event based Auto-Response via custom scripts. Vendor neutral management of UPSes and PDUs for notifications and load shedding during power disruptions. 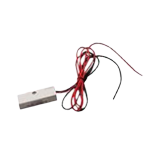 Monitors and logs systems health and even physical environmental conditions like temperature, humidity, motion, water, door access, security cameras. Ensure WAN connectivity and continued business operations at branch locations with Failover to Cellular to high speed 4G LTE networks. Immediate and transparent failover and failback operations require no manual intervention. Simple LAN-to-WAN IP Passthrough technology ensures easy interoperability with all enterprise routers. Embedded cellular module combined with multi-carrier capabilities enables selection of the best cellular carrier at each remote site. Certified to work with all major carriers across the globe. Efficiently manage all enterprise locations with Lighthouse. Instant insights into network and infrastructure status at the edge. 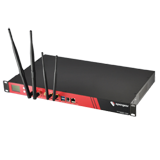 Securely access all remote infrastructure out-of-band via cellular networks. Create alerts for proactive monitoring and fault detection. Carrier diversity & multi-carrier support ensure global deployments, reduce IT costs and streamline operations – be it 5 sites or 5000 sites. Who can most benefit from Resilience Gateway? Simplify management and secure business continuity across all your stores. Minimize disruptions to store sales and operations with secure out-of-band access to critical IT infrastructure at each location. Maintain WAN connectivity during system failures, network outages and new site turn-up. Remotely manage all critical infrastructure in bank branches, clinics, construction sites and branch offices around the world. Enforce management access security policies per- user, per-managed device with local and remote AAA. Eliminate technician call-outs and truck rolls to repair common faults. 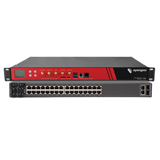 Add value with always-available remote maintenance and repair of firewalls, routers and other customer premise equipment. Call Home to enable inbound remote access to pri- vate and firewalled networks. Beat SLAs and enhance service with proactive monitoring and outage auto remediation.